NASA scientists, with the help of the Van Allen Probes mission, have recorded the eerie sounds made by different plasma waves in the particle symphony surrounding Earth. When lighting strikes the ground, the electrical discharge can also trigger whistler-mode plasma waves. 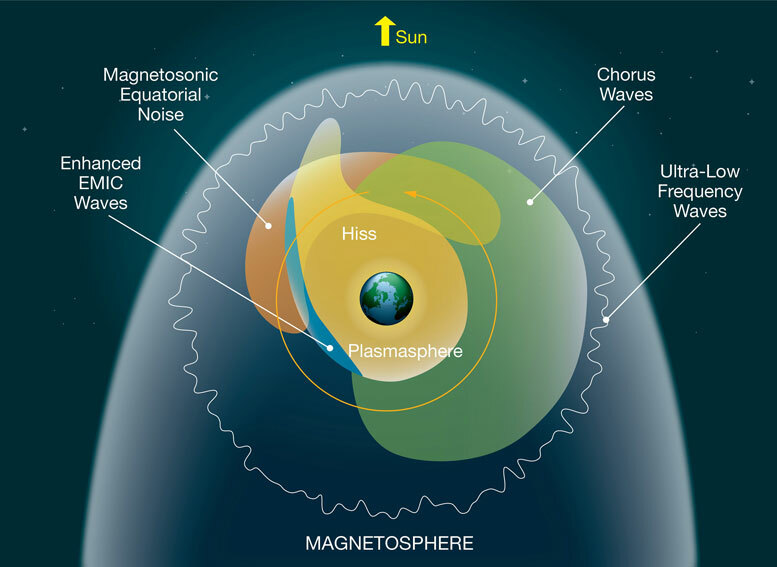 Some of the waves escape beyond the atmosphere to bounce like bumper cars along Earth’s magnetic field lines between the north and south poles. Since the lightning creates a range of frequencies, and since higher frequencies travel faster, the wave howls a falling pitch, giving the wave its name — a whistler. Out beyond the plasmasphere, where the plasma is tenuous and relatively warm, whistler-mode waves create primarily rising chirps, like a flock of noisy birds. This type of wave is called chorus and is created when electrons are pushed towards the night side of Earth — which in some cases, may be caused by magnetic reconnection, a dynamic explosion of tangled magnetic field lines on the dark side of Earth. When these low energy electrons hit the plasma, they interact with particles in the plasma, imparting their energy and creating a unique rising tone. NASA’s two Van Allen Probe spacecraft use an instrument called EMFISIS, short for Electric and Magnetic Field Instrument Suite and Integrated Science, to measure electric and magnetic waves as they circle Earth. 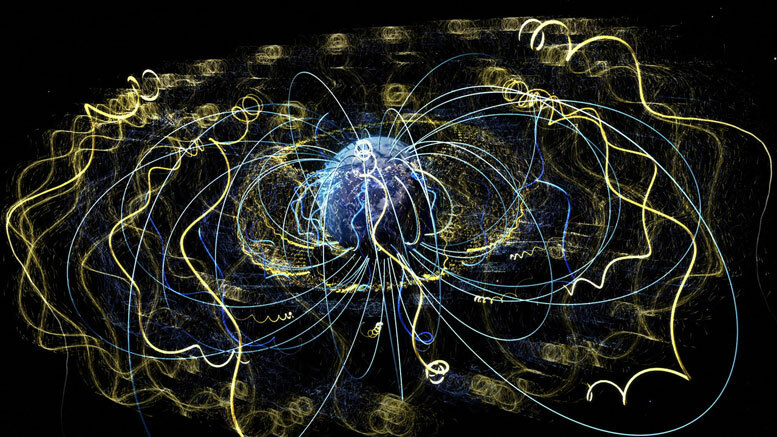 As the spacecraft encounter a wave, sensors record the changes in the frequency of the electric and magnetic fields. The scientists shift the frequencies to the audible range so that we can listen to the sounds of space. 1 Comment on "NASA Records the Eerie Sounds of Plasma Waves Surrounding Earth"
The sounds are appropriately reminiscent of science fiction movies.